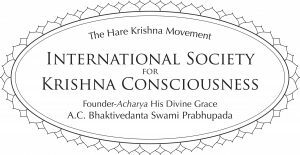 Listen to live sound from our Alachua Hare Krishna Temple via one of the following links optimized for the corresponding playback software: iTunes, Winamp, Windows Media Player, Real Player, QuickTime. You can also listen directly within your Web Browser. Daily broadcast times, EST Eastern Standard Time (UTC -5), are 4:30-8:45 am, 12:00-12:30 pm, 6:30-9:10 pm. Daily lecture 8:00-8:45 am. Sunday afternoons 4:00-9:10 pm. Sunday afternoon lecture 5:00-6:00 pm. At other times, you’ll hear ambient live sound from the temple. Watch the live webcams at Krishna.com/alachua. Please contact us if you notice the broadcast is not working during regular broadcast times.